Sconces have become extra-popular on Pinterest and Instagram, leading to a bump in sales and styles. Lighting a room seems simple: Plug in a lamp or flip a switch. “Nothing enhances a space more than a thoughtful lighting plan,” says interior designer Michael Wood of New York City. Many buildings in the city don’t allow channeling into the ceiling to add lighting, so as a workaround, he often uses sconces. There are practical considerations, as well. Donna Garlough, style director for Joss & Main, has noticed growing interest in sconces in the past few years. The right sconce can create a welcoming glow, and accentuate furniture and architecture, Garlough says. “Used to frame furnishings like beds and sofas, sconces can give your room a high-end, custom feel, and they make furniture look like it really belongs in the space,” she says. Popular locations for sconces include the master bedroom, where they create a hotel-chic vibe, next to bathroom mirrors, around kitchen cabinetry or in hallways. 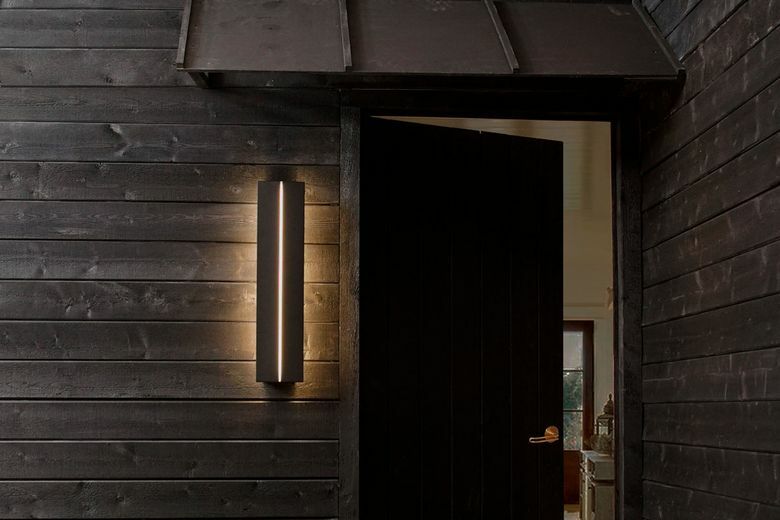 Outdoors, a sconce provides great mood lighting on a wall or fence. Wood likes sconces with an articulating arm. “It frees the light from a single illumination point, in a similar fashion to a task lamp,” he says. There are also versions that reach some distance from the wall, illuminating corners that other lighting can’t. “Brass and oiled bronze sconces are especially popular, as are midcentury-style globe sconces,” says Garlough. 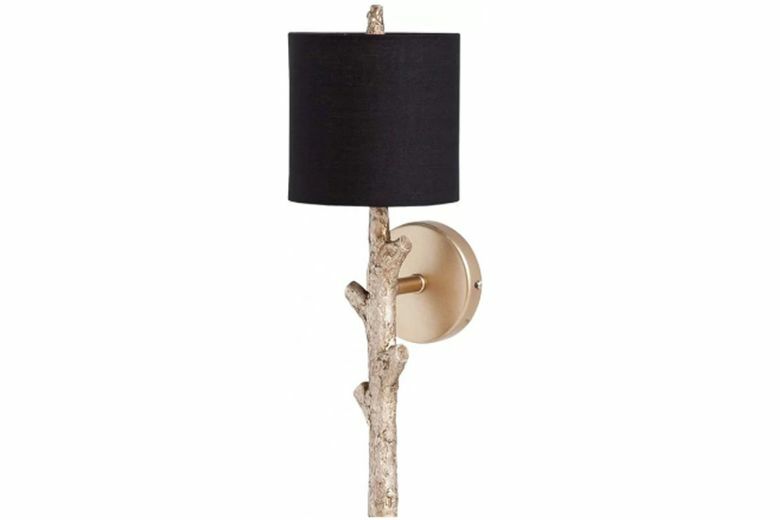 At Joss & Main, the Sabinal 1-Light Wall Sconce ($73) perches a little black shade on a resin post shaped liked a tree branch, clad in gold metallic for a mix of rusticity and elegance. 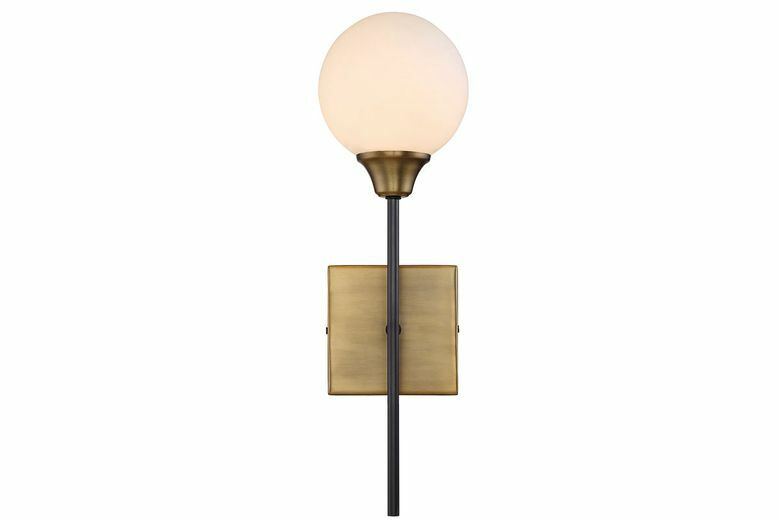 And, available in both a swing-arm and fixed-arm version, the Bautista Wall Sconce ($67–$87, both at jossandmain.com) has a round opal glass shade that casts a warm glow. Wood praises Los Angeles designer Brendan Ravenhill’s ADA sconces (starting at $675 at brendanravenhill.com), which debuted this spring. 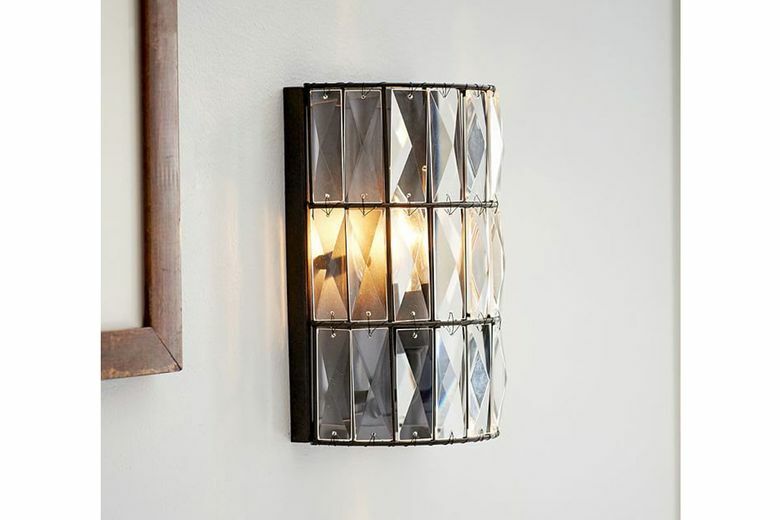 Pottery Barn’s Adeline Crystal Sconce ($119) brings sparkle to a space with a faceted crystalline glass shade. Translucent milk glass and a riveted bronze, nickel or brass frame give the sconce retro charm. 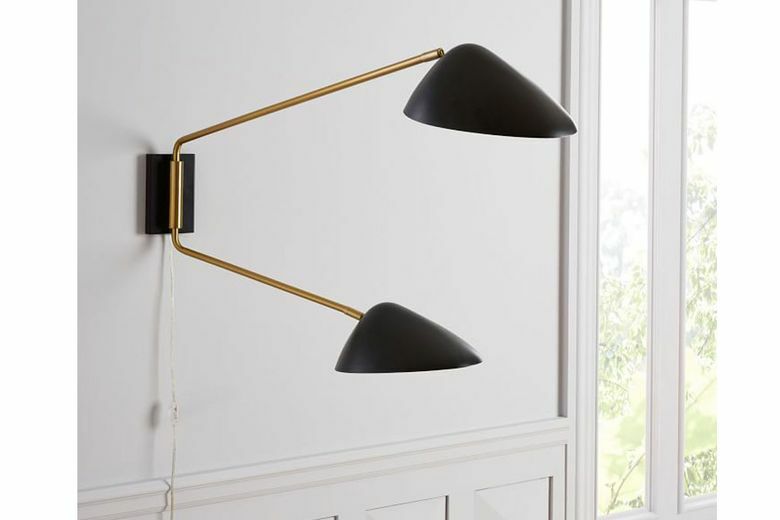 Finally, from West Elm, there’s the lovely adjustable Curvilinear Mid-Century Sconce ($69–$209) that plugs in. It comes in both long- and short-armed versions, with one or two shades. Brass and a curvilinear black shade give it a cool mid-mod vibe.